Inspired by the limited edition Absolut Vodka bottles comes this pop art horror take on the vodka classic: Absolut Voorhees. The paper cut Absolut bottle features Jason Voorhees' mask. As per the label's saying this "Vodka With Blood Red Crystal Lake Blossom Flavor." The paper cut bottle is rendered in 3D, while the Jason Voorhees mask is on an additional layer. The artwork comes framed in a black shadow box frame. The artwork is hand signed. 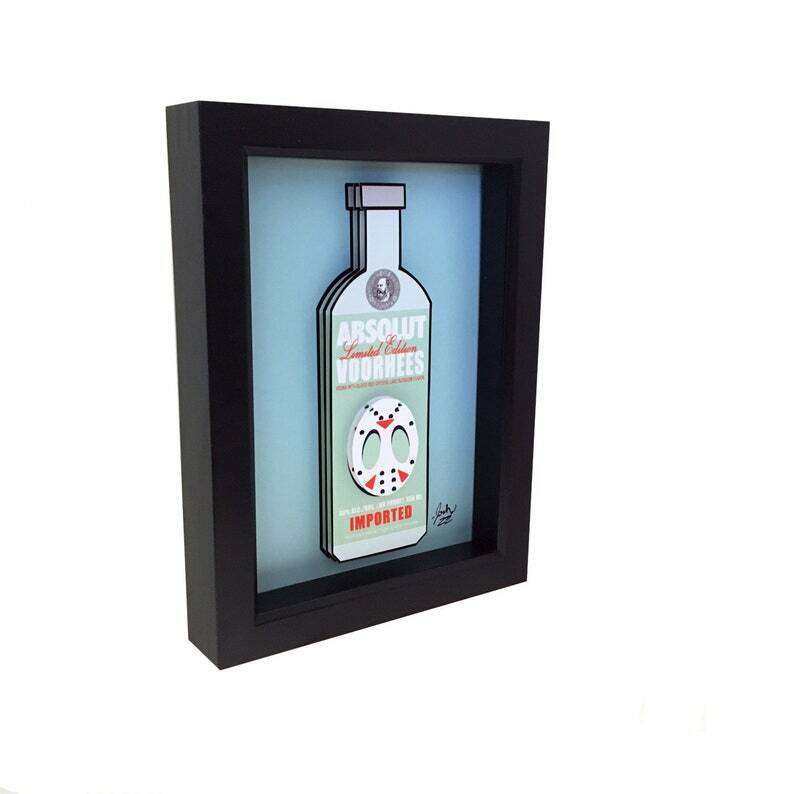 This 3D art is the perfect pop art addition for any Absolut Vodka collector, bar owner or horror fan.